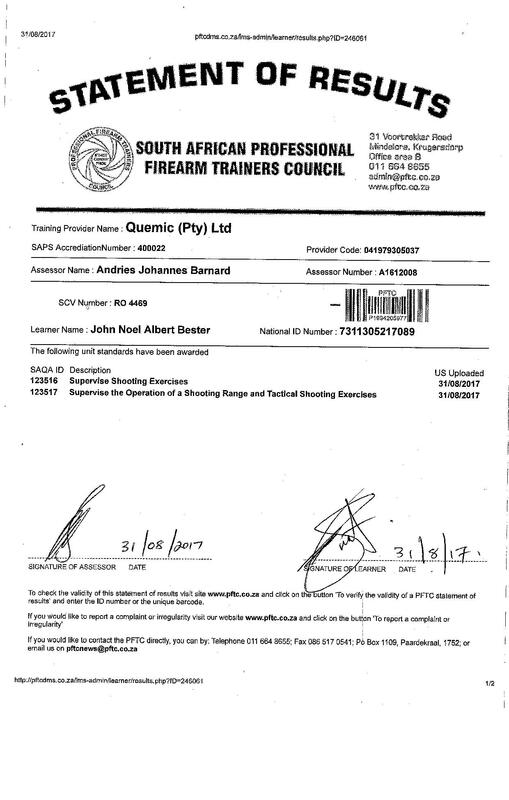 Accepted appropriate dedicated activity: strictly only training in tactical use of firearms - any course participated in or training to become trainer in tactical use of firearms. Exclusions 1: presenting or attending of a proficiency training course associated with sport shooting firearms for purposes of attaining competency; or presenting a sport shooting course (i.e. combat type course) for remuneration or as daily work, is not perceived to be relevant entries here.